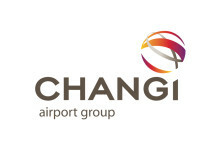 SINGAPORE, 23 July 2014 – Singapore Changi Airport managed 4.65 million passengers in June 2014, representing the highest number of passenger movements Changi has handled in a month this year. Passenger traffic for the month was lower by 0.3% year-on-year, in tandem with a drop in aircraft movements that dipped 0.5% to 28,130. On the cargo front, 154,700 tonnes of airfreight were processed last month, 0.2% lesser than a year before. In the first half of this year, 26.61 million passengers travelled through Changi Airport, 1.4% more than the corresponding period in 2013. During the same six-month period, flight movements increased 2.9% to 171,680 while cargo shipments totalled 910,100 tonnes, a growth of 0.6% on-year. Travel demand within the Asia Pacific region spurred traffic growth for the half-year, with traffic to Northeast Asia and South Asia growing 5.1% and 4.1% respectively. This was offset by weaker demand for travel to Thailand, which declined 18% for the half-year. Jakarta continued to top the list of Changi Airport’s busiest routes, followed by Hong Kong, Kuala Lumpur, Bangkok and Manila. Denpasar-Bali registered a strong 31% increase in the first six months of 2014 compared to a year ago, the fastest growing among the top 10 routes. As at 1 July 2014, more than 100 airlines operate at Changi Airport, connecting Singapore to over 300 cities in some 70 countries and territories worldwide. 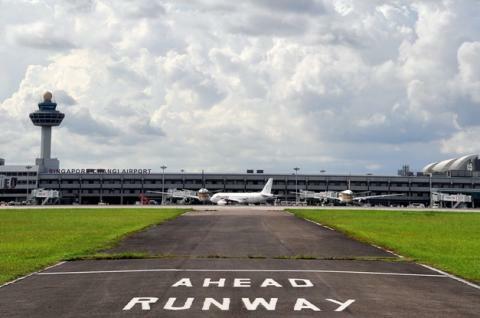 With more than 6,500 weekly scheduled flights, an aircraft takes off or lands at Changi roughly once every 90 seconds. New Services – Air France expanded its connectivity to Indonesia when it commenced daily flights from Paris to Jakarta (via Singapore) on 10 July. With this new service, passengers travelling on Air France and KLM flights from Paris and Amsterdam respectively, now have the flexibility to connect through Singapore to either Jakarta or Denpasar-Bali within the Air France-KLM network. On 26 June, Jetstar Asia started a daily service to Fukuoka, offering passengers another option for flights to the Japanese city. SilkAir launched a new service to Hangzhou on 27 June, operating four weekly flights from Singapore. SilkAir is the third airline operating this route, along with Jetstar Asia and Xiamen Airlines. Award-winning lounge – Incorporating the best of local and regional influence to create unique and memorable customer experiences, the new Qantas Singapore lounge at Terminal 1 has won global acclaim for innovative interior design at the 7th International Design Awards. ‘Be A Changi Millionaire’ Monthly Winner – Four boxes of chocolates brought all the fortune to one lucky Singaporean, who was picked as the first monthly finalist for the ‘Be a Changi Millionaire’ 2014 Grand Draw. In May 2014, Mr Huang Xiao Qiang, a 35 year-old project manager, who was on a holiday to visit family and friends in Nanjing, China, decided to get some chocolates for them as gifts. When he first heard of his incredible stroke of luck, he said, “I couldn’t believe the good news, it felt very unreal! I actually missed two calls due to some work discussions, but thankfully, I returned the call.” Hoping that his good luck runs all the way to the Grand Draw, he mentioned that he would be bringing his whole family – his lucky charm – down to Changi Airport to support him at the grand finale early next year. New Stores – Serving up an array of famous local delights from all over the island, passengers will be spoilt for choice with delicious dishes like Char Kway Teow and Nasi Lemak available at Changi Airport’s first Singapore Food Street, located in the transit area of Terminal 3. Over in Terminal 2, leather specialist Fossil opened its first outlet at Changi Airport, with a wide variety of watches and fashion accessories for customers to choose from. Renowned for its extensive and colourful range of foldable bags, French fashion label Longchamp has opened its second outlet in the Departure Transit Mall of Terminal 2. Chocolate lovers will get to satisfy their sweet-tooth cravings with the opening of Cocoa & Co and M&M’s World, two new chocolate concept stores, in Terminal 1’s transit area. Changi Airport is the world's fifth busiest airport for international traffic. It served a record 53.7 million passengers from around the globe in 2013. More than 350 retail stores and 120 F&B outlets are situated across three terminals to cater to passengers and visitors. With over 100 airlines providing connectivity to 300 cities worldwide, Changi Airport handles about 6,500 flights every week, or about one every 90 seconds.